Eelume AS has released the first live video footage of its game changing take on underwater intervention vehicles. 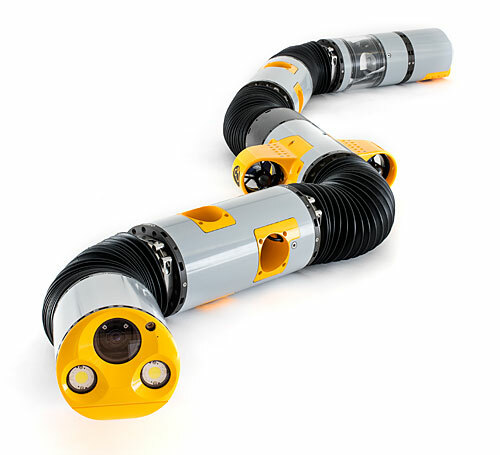 With the support of Kongsberg Maritime as a development partner, the unique new Eelume robot has torn up the marine robotics rulebook to create a futuristic, snake-like vehicle designed to live permanently underwater and carry out underwater intervention tasks that would normally require the mobilisation of expensive surface vehicles for divers or to launch and retrieve ROVs or AUVs. The trials verified and demonstrated the features of Eelume’s snake-like underwater robot in a deep-water, marine environment. Eelume confirmed that its vehicle has superior manoeuvrability, in a stable sensor and actuator platform, and can provide easy access to constrained areas not accessible by conventional underwater vehicles. The Eelume solution will dramatically save costs by reducing the use of expensive surface vessels. The solution can be installed on both existing and new fields where typical jobs include; visual inspection, cleaning, and operating valves and chokes. These jobs account for a large part of the total subsea inspection and intervention spend.